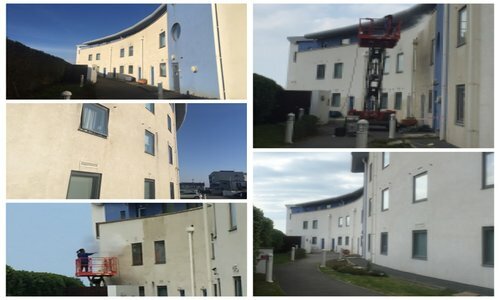 Expert Commercial Façade Cleaning London And The South East. If the building facade of your commercial property needs a deep clean then you need to contact our commercial building facade cleaning London and the South East specialists today. The entrance of your commercial building is the first thing clients and visitors view when visiting your commercial premises. Do You Want To Impress Future Clients? First impressions count everytime in business. 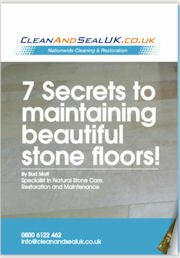 Make sure you impress potential clients straight away with a fresh clean main entrance area. Although lots of commercial buildings in London and the South East have the main entrance looking clean and tidy, the rest of the building sometimes gets neglected. These neglected areas of your commercial buildings can become covered in dirt and infested with mould and algae that are harmful to your employees health if they are regularly exposed to the infected areas. Contact Us For A Free No Obligation Survey. Get in touch for a free consultation regarding any areas that require cleaning, in a very short amount of time your commercial buildings facade in London and the South east will be free from algae, mould and grime making it look great once again. The weather and pollution in London and the South East makes things dirty and grimy, with algae and mould covering the facade of our factories, hotels, offices, storage units, warehouses, schools, hospitals and luxury apartments. CleanAndSealUk can clean and restore any commercial building façade in London and the South East. Contact Us Now if you want to be proud of your commercial building façade London once again. We have the expertise and equipment to tackle any commercial building facade cleaning London requirements. Whether you are in need of commercial pressure washing to clean a warehouse cladding facade. Or a superheated low pressure cleaning method on a natural stonewall facade which needs a sympathetic approach so not to damage your properties façade in anyway. Get in contact with our commercial facade cleaning London and the South East specialists today for more information. The types of commercial facade cleaning London and the South East we undertake are. By utilizing any of these methods of commercial facade cleaning London and the South East with the correct chemical for the material being cleaned we can make easy work of any of your commercial facade cleaning requirements that you need. Mobile elevated work platforms are used to reach the dizzy heights that need cleaning if required. We also hire in mobile cranes with man baskets to make sure your high access cleaning requirements are met. Just fill out our quick and easy form or call us on freephone 0800 6122 462 to get a FAST quote from us.